BY REPRESENTATIVE(S) Levy, Benefield, Court, Ferrandino, Fischer, Gagliardi, Hullinghorst, Kagan, Merrifield, Peniston, Pommer, Primavera, Solano, Tyler, – legislative declaration – repeal. CONCERNING MEASURES TO ENCOURAGE ADDITIONAL INVESTMENT IN SOLAR ENERGY GENERATION FACILITIES, AND, IN CONNECTION THEREWITH, AUTHORIZING THE CREATION OF COMMUNITY SOLAR GARDENS. (III) ALLOW INTERESTS IN SOLAR GENERATION FACILITIES TO BE PORTABLE AND TRANSFERRABLE; AND (IV) LEVERAGE COLORADO’S SOLAR GENERATING CAPACITY THROUGH ECONOMIES OF SCALE. (I) (A) “COMMUNITY SOLAR GARDEN” MEANS A SOLAR ELECTRIC GENERATION FACILITY WITH A NAMEPLATE RATING OF TWO MEGAWATTS OR LESS THAT IS LOCATED IN OR NEAR A COMMUNITY SERVED BY A QUALIFYING RETAIL UTILITY WHERE THE BENEFICIAL USE OF THE ELECTRICITY GENERATED BY THE FACILITY BELONGS TO THE SUBSCRIBERS TO THE COMMUNITY SOLAR GARDEN. THERE SHALL BE AT LEAST TEN SUBSCRIBERS. THE OWNER OF THE COMMUNITY SOLAR GARDEN MAY BE THE QUALIFYING RETAIL UTILITY OR ANY OTHER FOR-PROFIT OR NONPROFIT ENTITY OR ORGANIZATION, INCLUDING A SUBSCRIBER ORGANIZATION ORGANIZED UNDER THIS SECTION, THAT CONTRACTS TO SELL THE OUTPUT FROM THE COMMUNITY SOLAR GARDEN TO THE QUALIFYING RETAIL UTILITY. A COMMUNITY SOLAR GARDEN SHALL BE DEEMED TO BE “LOCATED ON THE SITE OF CUSTOMER FACILITIES”. (B) A COMMUNITY SOLAR GARDEN SHALL CONSTITUTE “RETAIL DISTRIBUTED GENERATION” WITHIN THE MEANING OF SECTION 40-2-124, AS AMENDED BY HOUSE BILL 10-1001, ENACTED IN 2010. (II) “SUBSCRIBER” MEANS A RETAIL CUSTOMER OF A QUALIFYING RETAIL UTILITY WHO OWNS A SUBSCRIPTION AND WHO HAS IDENTIFIED ONE OR MORE PHYSICAL LOCATIONS TO WHICH THE SUBSCRIPTION SHALL BE ATTRIBUTED. SUCH PHYSICAL LOCATIONS SHALL BE WITHIN EITHER THE SAME MUNICIPALITY OR THE SAME COUNTY AS THE COMMUNITY SOLAR GARDEN; EXCEPT THAT, IF THE SUBSCRIBER LIVES IN A COUNTY WITH A POPULATION OF LESS THAN TWENTY THOUSAND, ACCORDING TO THE MOST RECENT AVAILABLE CENSUS FIGURES, SUCH PHYSICAL LOCATIONS MAY BE IN ANOTHER COUNTY, ALSO WITH A POPULATION OF LESS THAN TWENTY THOUSAND, WITHIN THE SERVICE TERRITORY OF THE SAME QUALIFYING RETAIL UTILITY AND ALSO ADJACENT TO THAT OF THE COMMUNITY SOLAR GARDEN. THE SUBSCRIBER MAY CHANGE FROM TIME TO TIME THE PREMISES TO WHICH THE COMMUNITY SOLAR GARDEN ELECTRICITY GENERATION SHALL BE ATTRIBUTED, SO LONG AS THE PREMISES ARE WITHIN THE GEOGRAPHICAL LIMITS ALLOWED FOR A SUBSCRIBER. (III) “SUBSCRIPTION” MEANS A PROPORTIONAL INTEREST IN SOLAR ELECTRIC GENERATION FACILITIES INSTALLED AT A COMMUNITY SOLAR GARDEN, TOGETHER WITH THE RENEWABLE ENERGY CREDITS ASSOCIATED WITH OR ATTRIBUTABLE TO SUCH FACILITIES UNDER SECTION 40-2-124. EACH SUBSCRIPTION SHALL BE SIZED TO REPRESENT AT LEAST ONE KILOWATT OF THE COMMUNITY SOLAR GARDEN’S GENERATING CAPACITY AND TO SUPPLY NO MORE THAN ONE HUNDRED TWENTY PERCENT OF THE AVERAGE ANNUAL CONSUMPTION OF ELECTRICITY BY EACH SUBSCRIBER AT THE PREMISES TO WHICH THE SUBSCRIPTION IS ATTRIBUTED, WITH A DEDUCTION FOR THE AMOUNT OF ANY EXISTING SOLAR FACILITIES AT SUCH PREMISES. 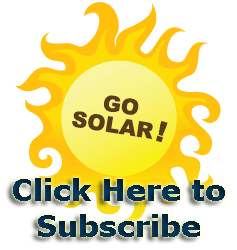 SUBSCRIPTIONS IN A COMMUNITY SOLAR GARDEN MAY BE TRANSFERRED OR ASSIGNED TO A SUBSCRIBER ORGANIZATION OR TO ANY PERSON OR ENTITY WHO QUALIFIES TO BE A SUBSCRIBER UNDER THIS SECTION. (3) Subscriber organization – subscriber qualifications transferability of subscriptions. (a) THE COMMUNITY SOLAR GARDEN MAY BE OWNED BY A SUBSCRIBER ORGANIZATION, WHOSE SOLE PURPOSE SHALL BE BENEFICIALLY OWNING AND OPERATING A COMMUNITY SOLAR GARDEN. THE SUBSCRIBER ORGANIZATION MAY BE ANY FOR-PROFIT OR NONPROFIT ENTITY PERMITTED BY COLORADO LAW. THE COMMUNITY SOLAR GARDEN MAY ALSO BE BUILT, OWNED, AND OPERATED BY A THIRD PARTY UNDER CONTRACT WITH THE SUBSCRIBER ORGANIZATION. (III) AUTHORIZING SUBSCRIBER ORGANIZATIONS TO ENTER INTO LEASES, SALE-AND-LEASEBACK TRANSACTIONS, OPERATING AGREEMENTS, AND OTHER OWNERSHIP ARRANGEMENTS WITH THIRD PARTIES. (c) IF A SUBSCRIBER CEASES TO BE A CUSTOMER AT THE PREMISES ON WHICH THE SUBSCRIPTION IS BASED BUT, WITHIN A REASONABLE PERIOD AS DETERMINED BY THE COMMISSION, BECOMES A CUSTOMER AT ANOTHER PREMISES IN THE SERVICE TERRITORY OF THE QUALIFYING RETAIL UTILITY AND WITHIN THE GEOGRAPHIC AREA SERVED BY THE COMMUNITY SOLAR GARDEN, THE SUBSCRIPTION SHALL CONTINUE IN EFFECT BUT THE BILL CREDIT AND OTHER FEATURES OF THE SUBSCRIPTION SHALL BE ADJUSTED AS NECESSARY TO REFLECT ANY DIFFERENCES BETWEEN THE NEW AND PREVIOUS PREMISES’ CUSTOMER CLASSIFICATION AND AVERAGE ANNUAL CONSUMPTION OF ELECTRICITY. (4) Community solar gardens not subject to regulation. NEITHER THE OWNERS OF NOR THE SUBSCRIBERS TO A COMMUNITY SOLAR GARDEN SHALL BE CONSIDERED PUBLIC UTILITIES SUBJECT TO REGULATION BY THE COMMISSION SOLELY AS A RESULT OF THEIR INTEREST IN THE COMMUNITY SOLAR GARDEN. PRICES PAID FOR GARDENS SHALL NOT BE SUBJECT TO REGULATION BY THE COMMISSION. (5) Purchases of the output from community solar gardens. (a) (I) EACH QUALIFYING RETAIL UTILITY SHALL SET FORTH IN ITS PLAN FOR ACQUISITION OF RENEWABLE RESOURCES A PLAN TO PURCHASE THE ELECTRICITY AND RENEWABLE ENERGY CREDITS GENERATED FROM ONE OR MORE COMMUNITY SOLAR GARDENS OVER THE PERIOD COVERED BY THE PLAN. (II) TO THE CONTRARY, RENEWABLE ENERGY CREDITS GENERATED FROM SOLAR GARDENS SHALL NOT BE USED TO ACHIEVE MORE THAN TWENTY PERCENT OF THE RETAIL DISTRIBUTED GENERATION STANDARD IN YEARS 2011 THROUGH 2013. (III) FOR THE FIRST THREE COMPLIANCE YEARS COMMENCING WITH THE 2011 COMPLIANCE YEAR, A QUALIFYING RETAIL UTILITY SHALL NOT BE OBLIGATED TO PURCHASE THE OUTPUT FROM MORE THAN SIX MEGAWATTS OF NEWLY INSTALLED COMMUNITY SOLAR GARDEN GENERATION. (E) THE ACHIEVEMENT OF THE GOALS AND OBJECTIVES OF SECTION 40-2-124. (b) (I) THE OUTPUT FROM A COMMUNITY SOLAR GARDEN SHALL BE SOLD ONLY TO THE QUALIFYING RETAIL UTILITY SERVING THE GEOGRAPHIC AREA WHERE THE COMMUNITY SOLAR GARDEN IS LOCATED. ONCE A COMMUNITY SOLAR GARDEN IS PART OF A QUALIFYING RETAIL UTILITY’S PLAN FOR ACQUISITION OF RENEWABLE RESOURCES, AS APPROVED BY THE COMMISSION, THE QUALIFYING RETAIL UTILITY SHALL PURCHASE ALL OF THE ELECTRICITY AND RENEWABLE ENERGY CREDITS GENERATED BY THE COMMUNITY SOLAR GARDEN. THE AMOUNT OF ELECTRICITY AND RENEWABLE ENERGY CREDITS GENERATED BY EACH COMMUNITY SOLAR GARDEN SHALL BE DETERMINED BY A PRODUCTION METER INSTALLED BY THE QUALIFYING RETAIL UTILITY OR THIRD-PARTY SYSTEM OWNER AND PAID FOR BY THE OWNER OF THE COMMUNITY SOLAR GARDEN. (II) THE PURCHASE OF THE OUTPUT OF A COMMUNITY SOLAR GARDEN BY A QUALIFYING RETAIL UTILITY SHALL TAKE THE FORM OF A NET METERING CREDIT AGAINST THE QUALIFYING RETAIL UTILITY’S ELECTRIC BILL TO EACH COMMUNITY SOLAR GARDEN SUBSCRIBER AT THE PREMISES SET FORTH IN THE SUBSCRIBER’S SUBSCRIPTION. THE NET METERING CREDIT SHALL BE CALCULATED BY MULTIPLYING THE SUBSCRIBER’S SHARE OF THE ELECTRICITY PRODUCTION FROM THE COMMUNITY SOLAR GARDEN BY THE QUALIFYING RETAIL UTILITY’S TOTAL AGGREGATE RETAIL RATE AS CHARGED TO THE SUBSCRIBER, MINUS A REASONABLE CHARGE AS DETERMINED BY THE COMMISSION TO COVER THE UTILITY’S COSTS OF DELIVERING TO THE SUBSCRIBER’S PREMISES THE ELECTRICITY GENERATED BY THE COMMUNITY SOLAR GARDEN, INTEGRATING THE SOLAR GENERATION WITH THE UTILITY’S SYSTEM, AND ADMINISTERING THE COMMUNITY SOLAR GARDEN’S CONTRACTS AND NET METERING CREDITS. THE COMMISSION SHALL ENSURE THAT THIS CHARGE DOES NOT REFLECT COSTS THAT ARE ALREADY RECOVERED BY THE UTILITY FROM THE SUBSCRIBER THROUGH OTHER CHARGES. IF, AND TO THE EXTENT THAT, A SUBSCRIBER’S NET METERING CREDIT EXCEEDS THE SUBSCRIBER’S ELECTRIC BILL IN ANY BILLING PERIOD, THE NET METERING CREDIT SHALL BE CARRIED FORWARD AND APPLIED AGAINST FUTURE BILLS. THE QUALIFYING RETAIL UTILITY AND THE OWNER OF THE COMMUNITY SOLAR GARDEN SHALL AGREE ON WHETHER THE PURCHASE OF THE RENEWABLE ENERGY CREDITS FROM SUBSCRIBERS WILL BE ACCOMPLISHED THROUGH A CREDIT ON EACH SUBSCRIBER’S ELECTRICITY BILL OR BY A PAYMENT TO THE OWNER OF THE COMMUNITY SOLAR GARDEN. (c) THE OWNER OF THE COMMUNITY SOLAR GARDEN SHALL PROVIDE REAL-TIME PRODUCTION DATA TO THE QUALIFYING RETAIL UTILITY TO FACILITATE INCORPORATION OF THE COMMUNITY SOLAR GARDEN INTO THE UTILITY’S OPERATION OF ITS ELECTRIC SYSTEM AND TO FACILITATE THE PROVISION OF NET METERING CREDITS. (d) THE OWNER OF THE COMMUNITY SOLAR GARDEN SHALL BE RESPONSIBLE FOR PROVIDING TO THE QUALIFYING RETAIL UTILITY, ON A MONTHLY BASIS AND WITHIN REASONABLE PERIODS SET BY THE QUALIFYING RETAIL UTILITY, THE PERCENTAGE SHARES THAT SHOULD BE USED TO DETERMINE THE NET METERING CREDIT TO EACH SUBSCRIBER. IF THE ELECTRICITY OUTPUT OF THE COMMUNITY SOLAR GARDEN IS NOT FULLY SUBSCRIBED, THE QUALIFYING RETAIL UTILITY SHALL PURCHASE THE UNSUBSCRIBED RENEWABLE ENERGY AND THE RENEWABLE ENERGY CREDITS AT A RATE EQUAL TO THE QUALIFYING RETAIL UTILITY’S AVERAGE HOURLY INCREMENTAL COST OF ELECTRICITY SUPPLY OVER THE IMMEDIATELY PRECEDING CALENDAR YEAR. (e) EACH QUALIFYING RETAIL UTILITY SHALL SET FORTH IN ITS PLAN FOR ACQUISITION OF RENEWABLE RESOURCES A PROPOSAL FOR INCLUDING LOW-INCOME CUSTOMERS AS SUBSCRIBERS TO A COMMUNITY SOLAR GARDEN. THE UTILITY MAY GIVE PREFERENCE TO COMMUNITY SOLAR GARDENS THAT HAVE LOW-INCOME SUBSCRIBERS. (g). (6) NOTHING IN THIS SECTION SHALL BE CONSTRUED TO WAIVE OR SUPERSEDE THE RETAIL RATE IMPACT LIMITATIONS IN SECTION 40-2-124 (1) (g). UTILITY EXPENDITURES FOR UNSUBSCRIBED ENERGY AND RENEWABLE ENERGY CREDITS GENERATED BY COMMUNITY SOLAR GARDENS SHALL BE INCLUDED IN THE CALCULATIONS OF RETAIL RATE IMPACT REQUIRED BY THAT SECTION. (7) Applicability to cooperative electric associations and municipally owned utilities. THIS SECTION SHALL NOT APPLY TO COOPERATIVE ELECTRIC ASSOCIATIONS OR TO MUNICIPALLY OWNED UTILITIES.